Whether you've just moved to the area, you're looking for a place to call home, or "church" is new to you, Good Shepherd welcomes you. 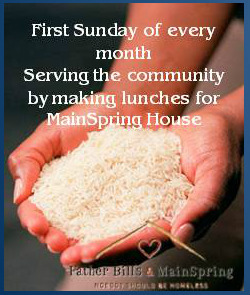 We are a caring, casual, and multi-cultural church, drawing people from Easton, MA and the surrounding communities. We offer rich and varied worship and are enaged in learning more about God and serving our community. 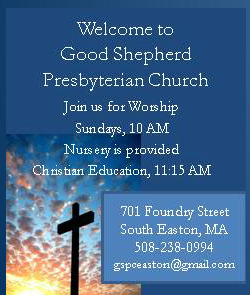 Join us for Worship on Sundays at 10 a.m., Nursery is provided. Sunday School for Adults and Children at 11:15 a.m.